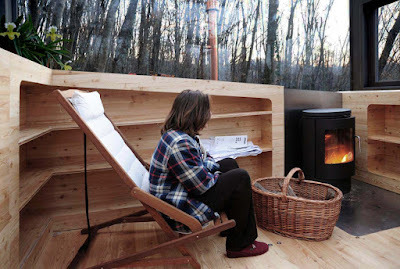 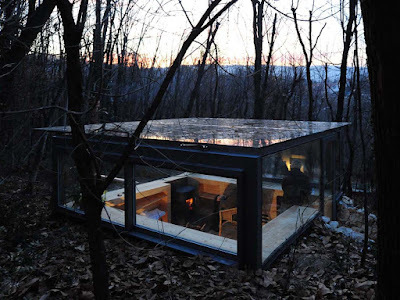 "The main idea was to leave the surrounding woodland completely untouched and to construct a nice room with sufficient illumination provided by natural light in the wintertime and enough shade during the summer. 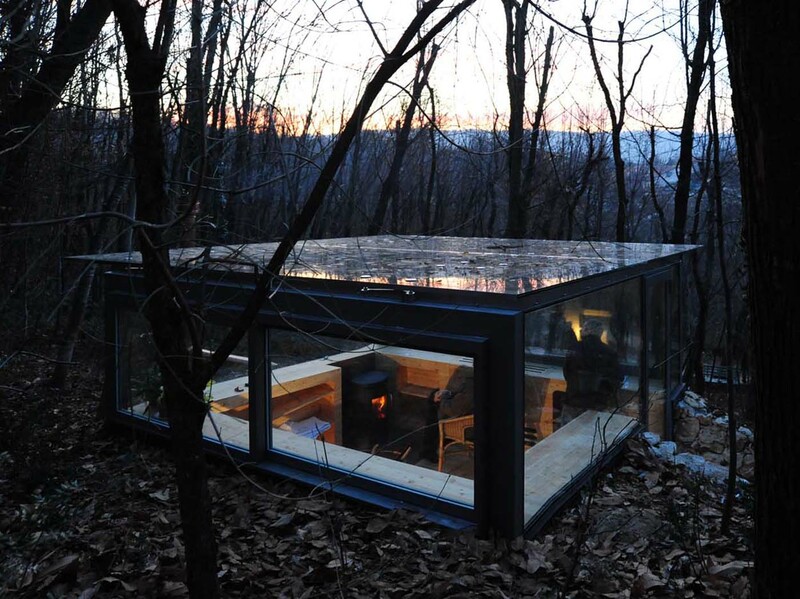 The dwelling is rather small, but the light and the tall windows convey the feeling of a larger space where you can really feel immersed in nature. 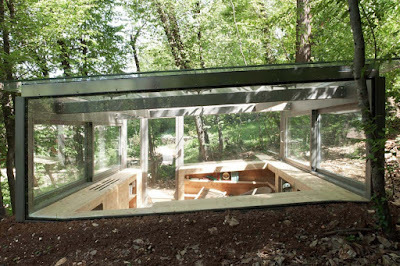 The big window frames look as though they're dug into the ground - the glass reaches the surface of the soil - and the view of the leaves conveys the impression the tree is actually inside the room." 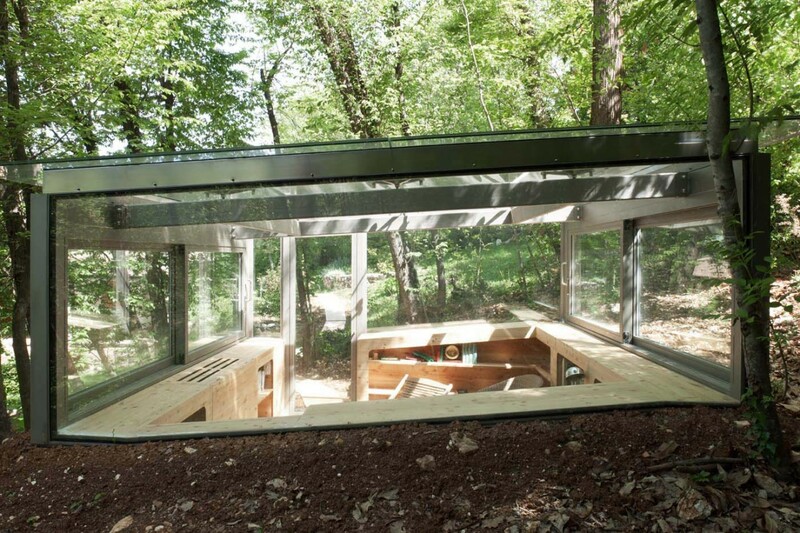 Lots more images of it at their site here.